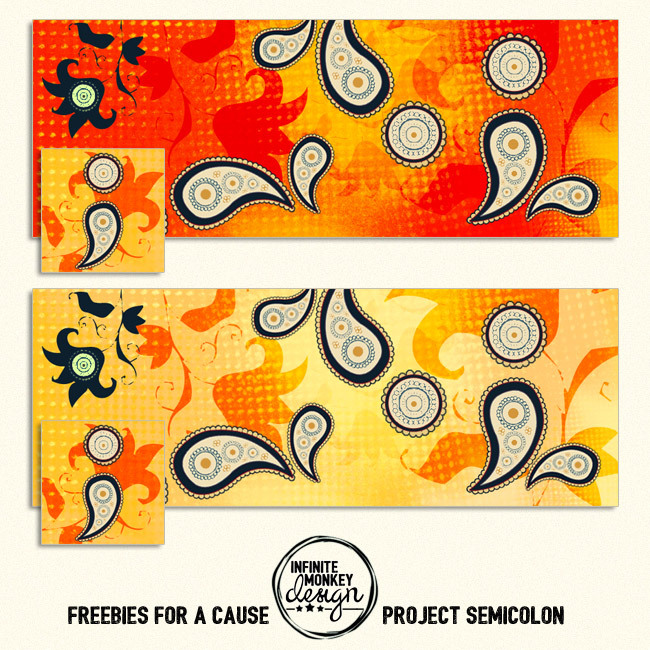 I’m launching a new thing today called Freebies For a Cause. It’s my effort to contribute towards good causes with free graphics, because I’m too financially-challenged to actually donate money. So which worthy cause is first on my freebie hit list? Well, whether or not you’re a fan of jumping on social media bandwagons (and generally I’m not. Unless it involves Whittakers chocolate), there’s a campaign building momentum amid factions of social media, and it’s one I can identify with. 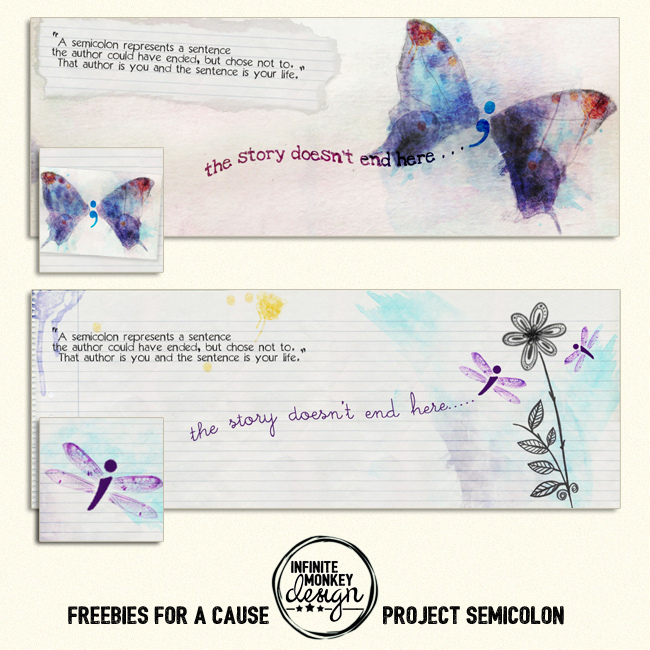 It’s called Project Semicolon, and it’s a movement that aims to bring support to anyone who struggles with depression, self-harm, suicidal thoughts or addiction. Project Semicolon was started in 2013 by a person named Amy Bleuel, as a tribute to her father who had committed suicide. This awareness campaign uses the semi-colon (;) as a symbol of solidarity – to show you are a survivor of depression/suicidal thoughts/etc, and that you are not giving up. Or alternatively, as a show support for someone close to you who has been effected by these often-debilitating feelings. 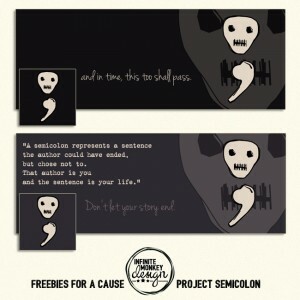 A semicolon is used when an author could’ve chosen to end their sentence, but chose not to. The author is you and the sentence is your life. Whether it’s in the name of their own struggle or in support of someone else’s, participants use this symbol (often via tattoo or ink drawing) to declare their support for the cause and commitment to staying strong. And while internet-fad led tattoos are another thing normally guaranteed to set my eyes rolling faster than a set of marbles down a staircase, I can understand the sentiment in this. What better than a small obscure punctuation mark shared by thousands of others around the world to remind you that you’re not alone during your most darkest desperate moments? So is this the part where I say “hey look guys, I got a new tattoo!”? Not quite. But this is the part where I say I’ve made some free-to-download timeline covers and profile pics that anyone is welcome to use if they’d like to kit out their Facebook page in support of the cause. Either for themselves or for the sake of someone they’re close to. There’s a range of colours and styles, with potentially more to come. Check out the full range and download ’em right here! If you’d like to suggest a design idea or would like any of these designs in a different size (for use on other websites), feel free to message me or leave a comment.